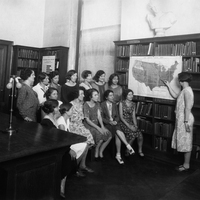 Instructor pointing to US Map of Territory Acquisition, classroom, Barnard Summer School for Woman Workers in Industry, circa 1930. 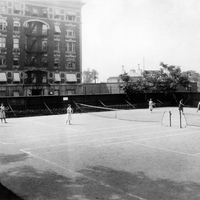 Students playing tennis, c. 1930, Barnard Summer School for Woman Workers in Industry, circa 1930. 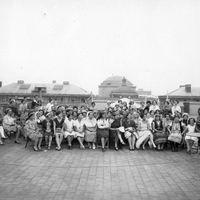 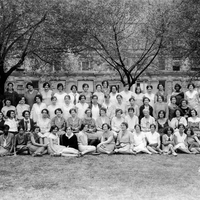 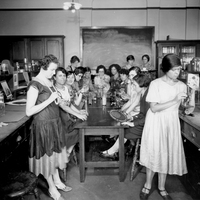 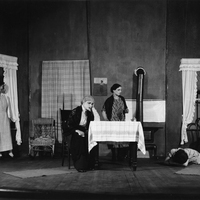 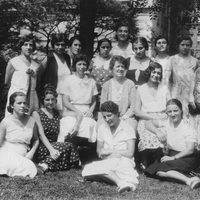 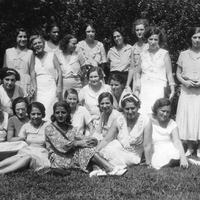 Classmates from the Barnard Summer School for Woman Workers in Industry, the Jungle, Barnard College, 1930. 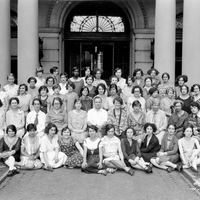 Class portrait, Barnard Summer School for Woman Workers in Industry, Milbank Hall entrance, Barnard College, circa 1928.